Retail entrepreneurship could be a wonderful opportunity for any business enthusiast. There are several ways to become retail entrepreneur franchising is one of them. It is model which gives you an opportunity to own proprietorship, whether it’s an ecommerce shop or brick-and-mortar store, and have complete independence but with little support. Compared to starting a sole proprietorship, opening a franchise comes with a different set of rules, expectations, and skills. However, given how tumultuous the retail industry can be, investing in a franchise opportunity is risky. Here, we have compiled a list of few top brands whose owing a franchise could be a lucrative deal. Firstcry.com is the largest baby and kids products brand in India. Formed in 2010, the company started its journey as an online retailer and also introduced offline retail in 2011. As on today, the company has robust presence in online as well as offline retail. The brand has a rich repository of over 2 lakhs kids and baby care items ranging from the top national as well as international brands such as like BabyHug, CuteWalk, Mattel, Ben10, Pigeon, Funskool, Hotwheels, Nuby, Farlin, Medela, Pampers, Disney, Barbie, Gerber, Fisher Price, MeeMee and so on. The company has 300+ offline retail stores and its offline retail model is run exclusively through franchised stores. 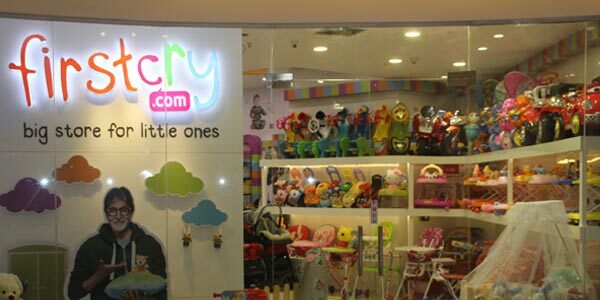 As per Mayank Badola, Business Head,FirstCry stores at FirstCry.com, the company opted for franchisee model over company owned stores,in order to help leverage the local knowledge and expertise of our local partner, allowing for more meaningful market penetration. FirstCry’s brand power, coupled with a franchisee’s local knowledge and expertise, is a tough combination to beat. The company is poised to add another 100 stores over the span of the next 12 months. Speaking more on expansion, Badola informed, “FirstCry is a very strong brand today. The offline retail stores model is a robust model with over 300 stores. We believe that we would be able to leverage our strong brand and successful business model to continue our rapid expansion. We should be able to increase our store count to about 1000 stores over the next five years.” The company has its stores located all across the country. 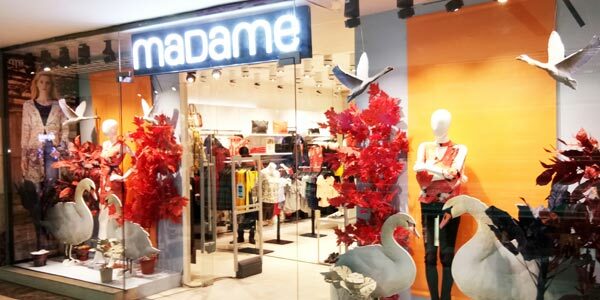 From staple basics and contemporary clothing to classy accessories, Madame is a one-stop shop for a woman’s complete wardrobe. Dressing the woman aged 25 and above, effortless styling and authenticity is the heart of the brand’s philosophy. Established in 1993, the company started the franchising model in the year 2002. Primarily, the company ventured franchising model to seek Operational benefit and attain deeper market penetration of the brand. Area required -150-250 sq. mt. Liberty is an iconic name in the Indian footwear industry. Currently with an annual turnover exceeding INR.600 crore (U.S. $150 million), the is amongst the top 5 manufacturers of leather footwear of the world producing more than 50,000 pairs a day using a capacity of more than 3 lakh square feet of leather per month. Incepted in 1954 the brand is operational in more than 25 countries, which includes major international fashion destinations like France, Italy and Germany. The company began Indian operations in the year 1982. Liberty has become house hold name among the Indian patrons. The brand offers wide assortment of fashionable and comfortable footwear. The offerings from the brand are relevant to all genres, age groups and segments of consumers. 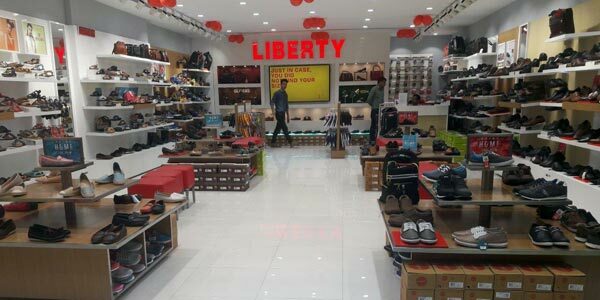 Liberty is constantly making diligent and meticulous efforts to enhance its product portfolio, inculcating latest technological developments and innovations, strengthening its value chain and logistics and enhancing the retail experience for its consumers. Speaking on the brand USP Anupam Bansal, Executive Director, Liberty Group said, “Our products are trendy, fashionable and comfortable to wear. Providing that kind of satisfaction to our customers is the aim of our brand. Constant innovation in styling, taking inspiration from around the world and making sure that the comfort factor is not compromised makes our brand unique.” The brand forayed into franchise model as it gives the brand to make deeper market penetration. The company is poised to add another 100 over the span of next 12 months. Area required : 600 to 2000 Sq Ft.
Expected break-even : 2 to 3 years. The USP of this business is its fast pay-back and the quick break even point.